Daniels’ voice has a hypnotic quality, delivering an impressive range that gives the romantic songs and verse of 50 years ago new life and raw emotion. A sultry songsmith and master of storytelling, she has performed for royalty and international dignitaries on multiple occasions, and has an extensive list of international performances with combos and big bands. She crossed the threshold of the classical world with the creation of her Symphony Pops programs, “The Great American Swingbook”, “Great Ladies of Swing”, “The Soul of Ray: The Music of Ray Charles”, “A Holiday Celebration”, and “A Night Out with the Boys”. She has performed and recorded with orchestras throughout North America and abroad. In addition to her accredited presence and magnetic prowess on keys, Daniels adds a spellbinding four-octave vocal range to her potent, natural and unique spin on every song she touches. Her international career includes performances across Europe, the United Kingdom, Russia, Australia, India, South America, Hong Kong, Japan, twelve African countries, and throughout North America. Her vocal style was born deep in the gospel roots of her stepfather’s Baptist church choir in Oakland, California, refined through the R&B era, and smoothly polished during a five-year stay in The Netherlands and Belgium and brought to full fruition upon her return to North America. 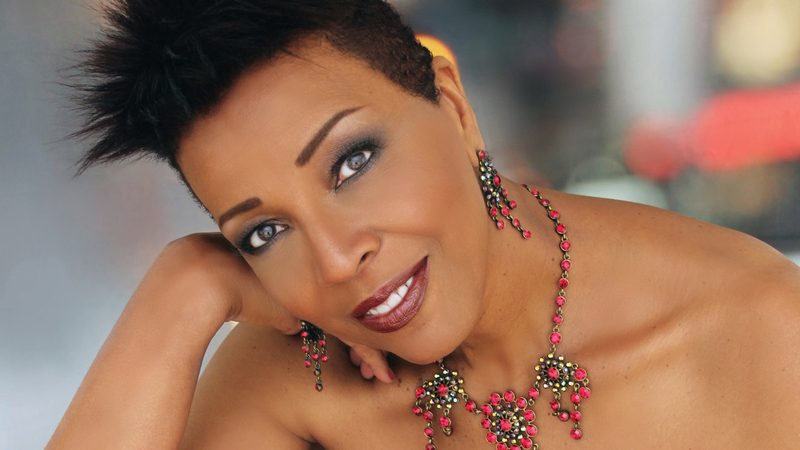 Dee has performed and/or recorded with the who’s who of the Jazz world including Jazz legends: Houston Person, Benny Green, John Clayton, Russell Malone, Wycliffe Gordon, Cyrus Chestnut, Clark Terry, Ken Peplowski, Kenny Barron, Bill Mays, Jeff Clayton, Benny Golson, Grady Tate, Toots Thielemans, Jeff Hamilton, Monty Alexander, Steve Wilson, Marvin Stamm, Lewis Nash, Kenny Washington, Norman Simmons, Ben Riley, Bucky Pizzarelli, Helen Sung, Christian McBride, David Young, including the late Joe Williams, Lionel Hampton, Hank Jones, Sarah Vaughan, and many, many more. She has also toured with the Nord Netherlands Symphony Orchestra; performed Songs From Disney Movies with the Munich Radio Orchestra; recorded her Wish Me Love CD with The Metropole Orchestra of Holland; and recorded the Holiday Pops CD with the Vancouver Symphony Orchestra. She is the guest vocalist on the 2006 Crossover Xmas and the 2007 Crossover Xmas: The Sound Goes Big CDs recorded with the Philharmonie Baden-Baden of Germany. Career highlights include: a 2016 appointment to the JEN (Jazz Education Network) President’s Advisory Council, Adjunct Professor at Queens College (NY) 2013 – 2014, Artistic Director of the DeMiero Jazz Festival since 2011; a nomination for Atlanta Theater’s 2010 Suzi Bass Award; the 2009 receipt of an Honorary Doctorate Degree of Fine Arts and 2008 President’s Award, both from Capilano University; 2003 recipient of the prestigious Commemorative Medal for the Golden Jubilee of Her Majesty Queen Elizabeth II, and induction into the University of Montana’s School of Fine Arts Hall of Honor as well as a 1997 University of Montana Distinguished Alumni Award; a 2002 inductee into the BC Entertainment Hall of Fame with a plaque installed on Vancouver’s Granville Street Walk of Fame; and a command performance for the King and Queen of Belgium’s 25th Wedding Anniversary. Her international career includes performances in twelve African countries, Australia, South America, the United Kingdom, Hong Kong, Russia, India, Japan, throughout North America, and many countries within Europe. Dee has cultivated a diverse career that has also seen her on theatre stages including the 2009 premiere of New York choreographer Twyla Tharp’s new musical, Come Fly Away, and as an inspirational speaker with a keynote address being delivered at the 2009 Women’s CEO & Senior Management Summit in Toronto. An internationally respected vocal clinician, adjudicator and mentor, Dee presents clinics, workshops, and master classes globally. She created, and was the donor for, the Dee Daniels Jazz Vocal Scholarship at the Capilano University in North Vancouver, BC from 2001 – 2016. She was the first artist to serve on the advisory board of the Lionel Hampton International Jazz Festival (2002 – 2008), and has received several awards for her contribution in the field of music performance, music education, and community service. Visit www.deedaniels.com for further information.